Costa Rica, the land of abundant flora, fauna and OhMyGoshCoffeeIsTheBestMorePlease. OK, perhaps I had a little too much coffee while visiting the Central American country, based on that caffeine-filled brain spew. Nah, that’s not possible! The best parts about coffee in Costa Rica other than the fact that it’s delicious, is that it’s everywhere and it’s grown and roasted locally. It bugs me to visit places known for their coffee, only to find they import the beans from somewhere else. In Costa Rica, that’s not a problem because you can actually see the coffee plantations along the side of the road. 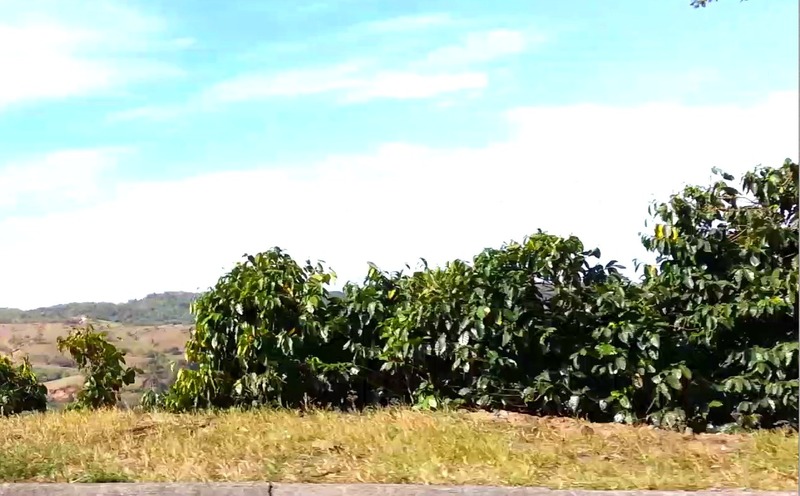 During my last day in Costa Rica, the four-hour drive to the airport involved snaking through the high altitude areas known for producing the country’s best-quality coffee. They were nearing the end of the growing season, so every once in a while a worker could be spotted in the fields. 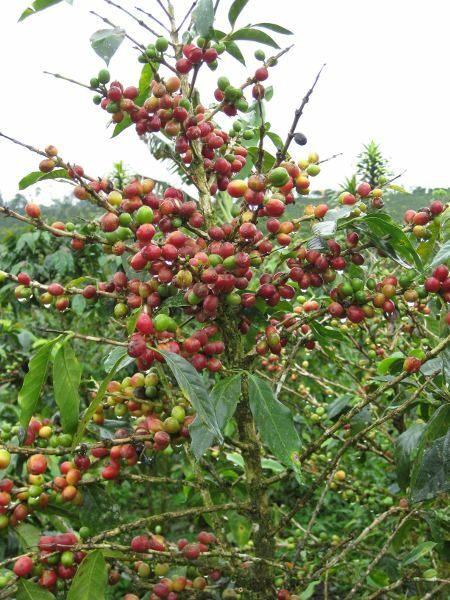 These coffees are lauded for their body and high acidity. It’s a little like driving through California’s Napa Valley and seeing rows of grape vines, except this time it’s rows of coffee shrubs. They’re all over the central part of the country. Sadly, I stayed about three hours away from the nearest coffee plantation and didn’t have time to stop on the way to the airport, so instead I visited a roaster, Sun Burst coffee. I almost didn’t stop in because I was sure coffee plantations would be the only way to truly learn about the coffee growing process, but I was so wrong. 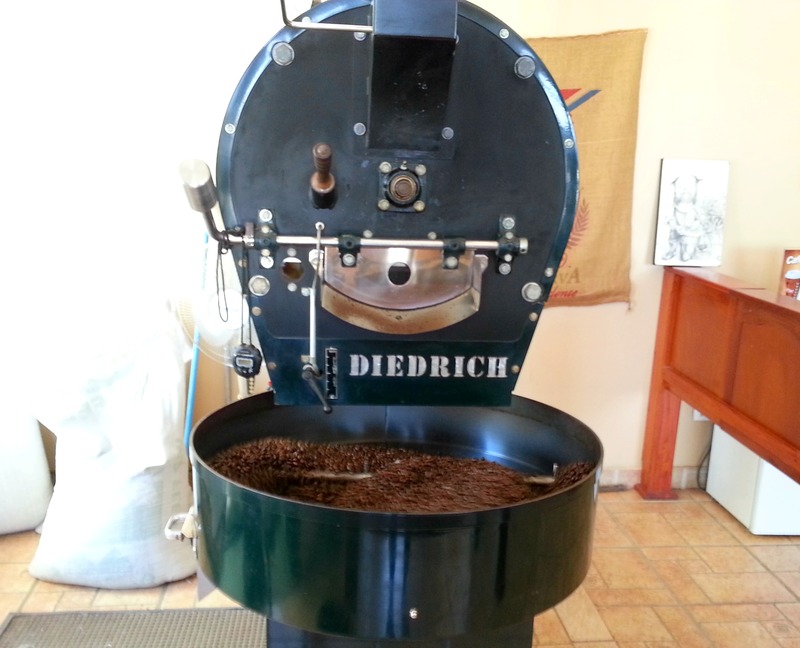 The little roasting shop offers quite the education and demonstration. 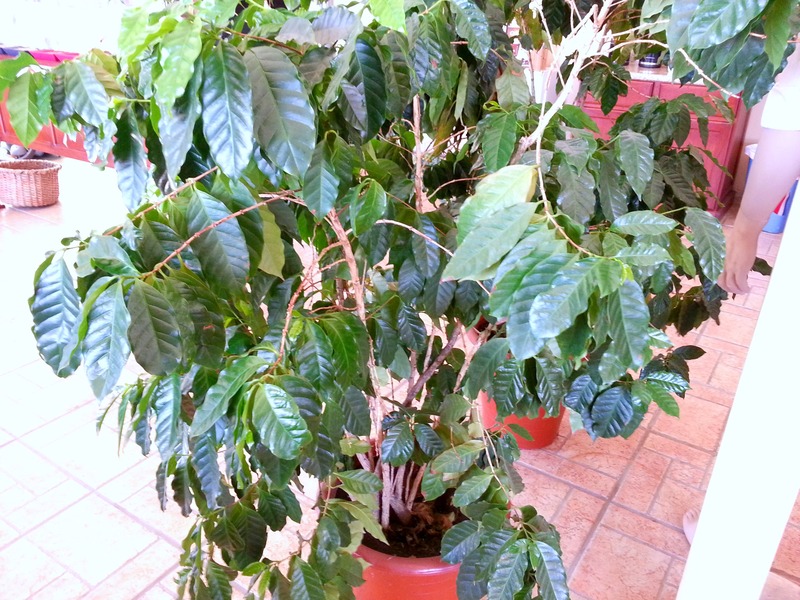 First, a close-up look at a coffee bush, without any coffee berries growing on it yet. After harvesting the berries, the outer fruit and a sticky film must be removed to reveal the bean inside. The beans are washed and dried for about a day. They might look ready for roasting, but they still have hulls that must be removed. And these are lower grade. 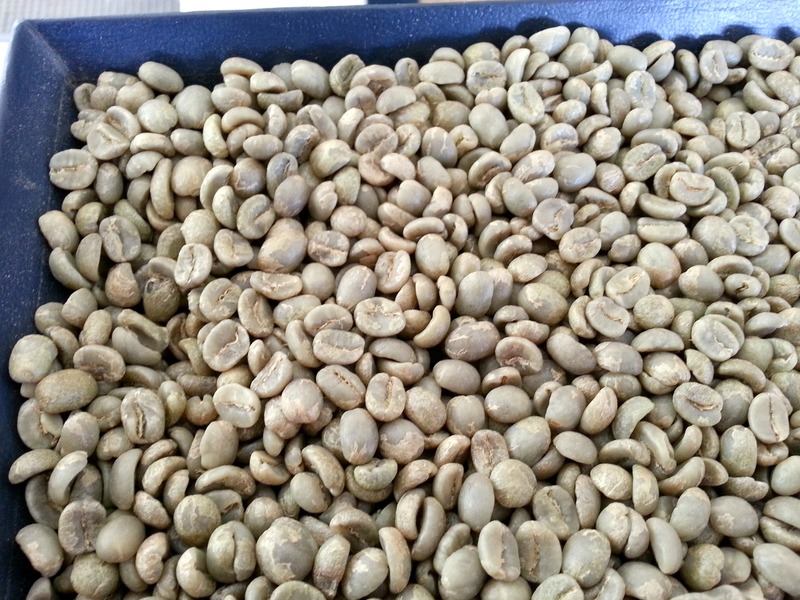 They will likely be mixed with a higher grade bean before sale. The tour guide also mentioned that a lot of times lower grade beans will head to local grocery stores so the high grade beans, which sell for much higher prices, can be exported. Next up is the roasting drum. 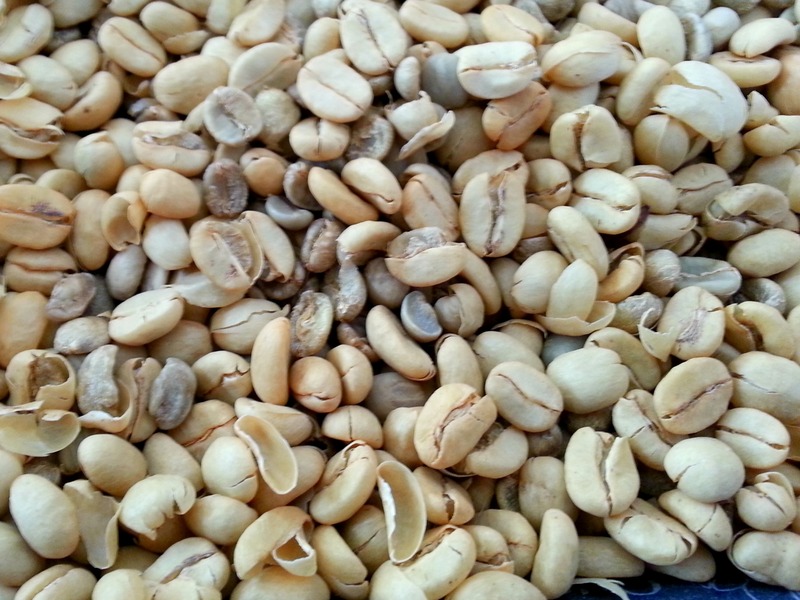 While watching the beans spin around in the drum and smelling the rich aroma, the tour guide explained that the beans’ darkness, and ultimately the coffee’s flavor, depends on how long the beans roast. The dark color comes from natural sugars caramelizing. When she said it only takes about 13 minutes for light roast and 16 for dark roast, I thought something got lost in translation. I had envisioned beans roasting for hours. 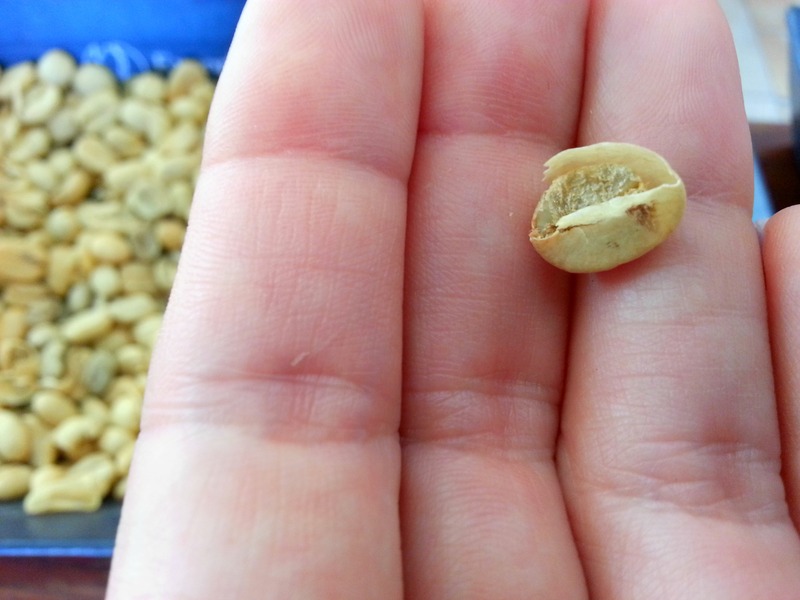 But no, it’s a very short process, one so delicate that precise timing is important to get the beans to just the right darkness. 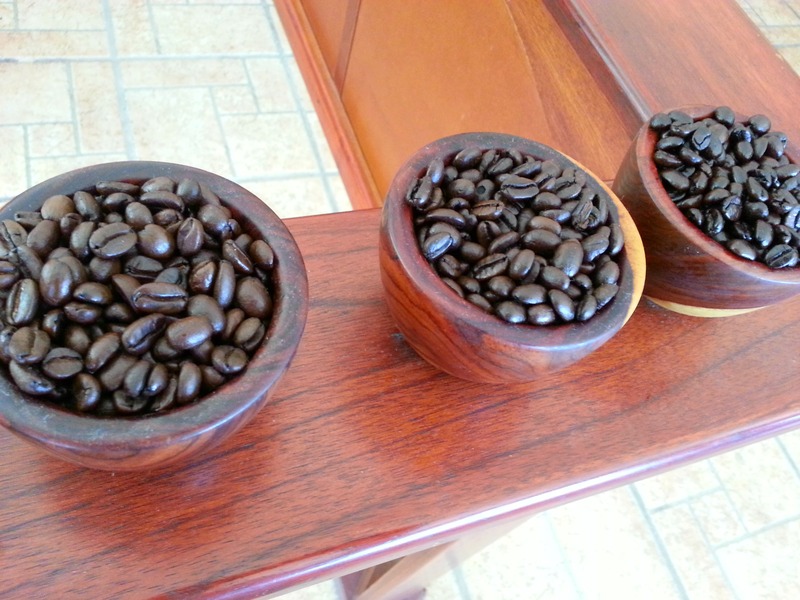 The beans below are 13-minute light roast on the left, 14-minute medium roast (the most common for United States customers) in the middle and the oily, 16-minute French roast on the right. And I hate to burst your bubble folks, but the amount of caffeine in each bean stays relatively the same regardless of roast; the amount of caffeine lessens slightly the longer a bean is roasted, but it’s not really enough for you to notice a difference. So forget about the type of roast and focus more on the water-to-coffee ratio when brewing if you want more of a caffeine kick. After smelling the rich aroma and trying a sample, I immediately could taste why coffee remains one of the country’s top exports (right up there with bananas, yum! ), as well as one of my greatest obsessions. 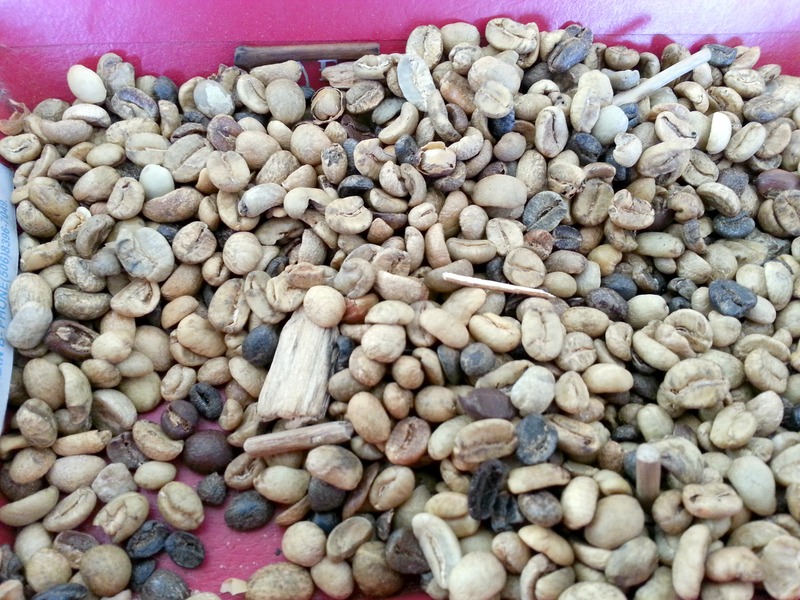 Plus, tasting the freshly-roasted type changed my coffee drinking forever. It certainly didn’t lessen my coffee snobbery, that’s for sure! To say I stocked up on the freshly-roasted, reasonably-priced coffee would be an understatement. The only problem now is that I’m hooked so I’ll probably need to plan another trip to Costa Rica to stock up once I run out!